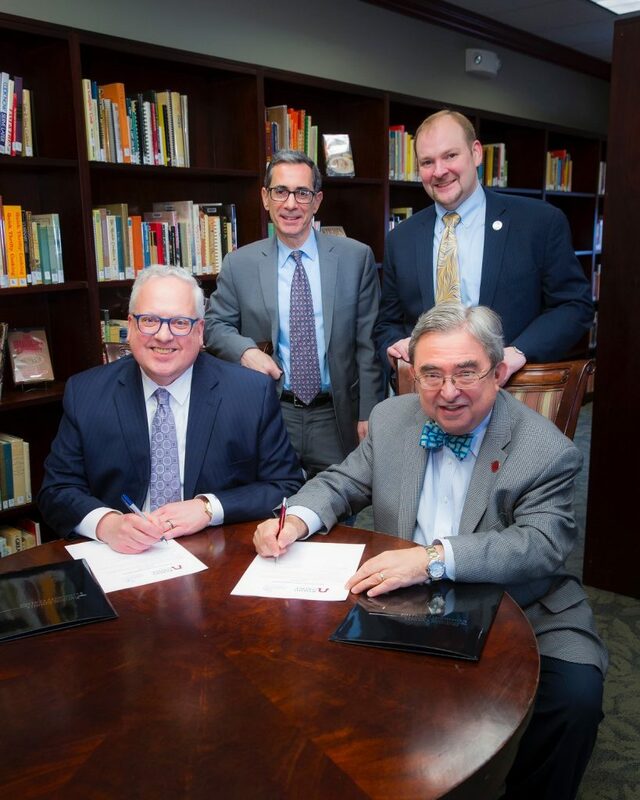 Pictured are, from left, HCCC President Dr. Chris Reber; HCCC Executive Vice President and Provost Dr. Eric Friedman; Ramapo College Vice President for Enrollment Management and Student Affairs Christopher Romano; and Ramapo College President Peter P. Mercer. At left, HCCC President Chris Reber, Senator Sandra Cunningham and Ramapo President Peter Mercer. MAHWAH, N.J. — Ramapo College of New Jersey (RCNJ) and Hudson County Community College (HCCC) in Jersey City, N.J., have taken steps to strengthen their long-standing partnership by signing the Archway to Ramapo program, effective for fall 2019. This collaborative agreement is specifically designed to create opportunities for a seamless two-year to four-year transition for students who begin their undergraduate studies at HCCC. The agreement also provides an alternate route to Ramapo College for students from Hudson County who may not initially meet admissions standards but will benefit from the A.A./A.S. degree at HCCC. Once students enroll at HCCC, they will be provided a RCNJ advisor who will work with them regularly on RCNJ matters including course equivalents, financial aid, support services, etc. And as part of Archway to Ramapo program, HCCC will host the Ramapo advisor on its campus. “This agreement is an extension of both colleges’ commitment to put students first. We know that intentional advisement and clear streamlined pathways to the bachelor’s degree are integral components of student success,” said Peter Mercer, President of Ramapo College. 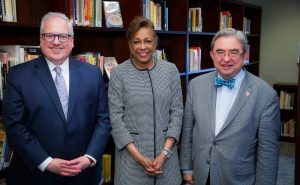 Ramapo College and HCCC will collaborate in providing students with information and academic advising, as well as counsel on academic requirements, career paths and the transfer process. Qualified HCCC students must have successfully earned an A.A. or A.S. degree and will be considered on a case-by-case basis.